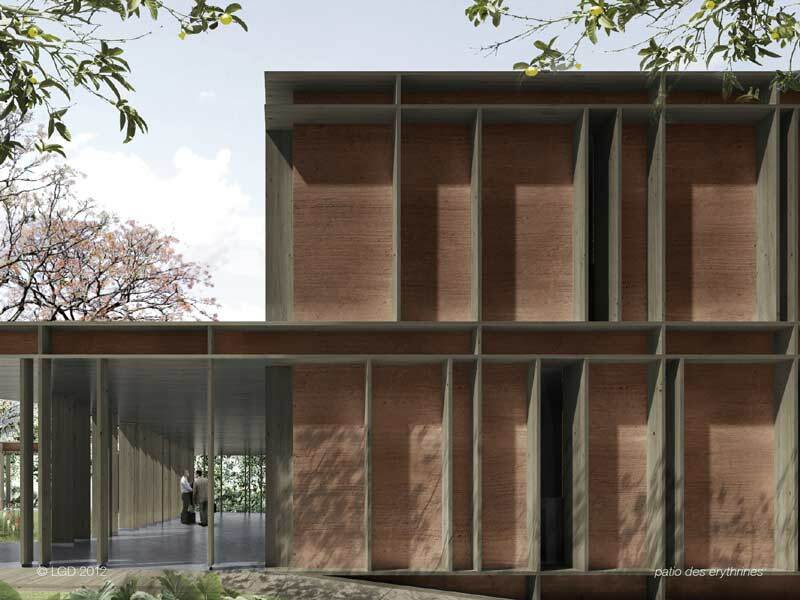 The project for the Swiss Embassy in Yaoundé in Cameroon fits with sensitivity in the parcel and take advantage, with its volume above ground, by the topography of the land. The three units of the program – the Chancellery, the Ambassador residence and the guest house – are organized within a single building which is on three levels. A portico courtyard connects the Embassy building at the main entrance.